The annual Fireside Feature Frenzy is back and frenzier than ever! All week, Fireside customers get to vote for their favorite customer-suggested features in four different categories: Casework, Mailroom, Outreach (Website, Newsletter), and People. 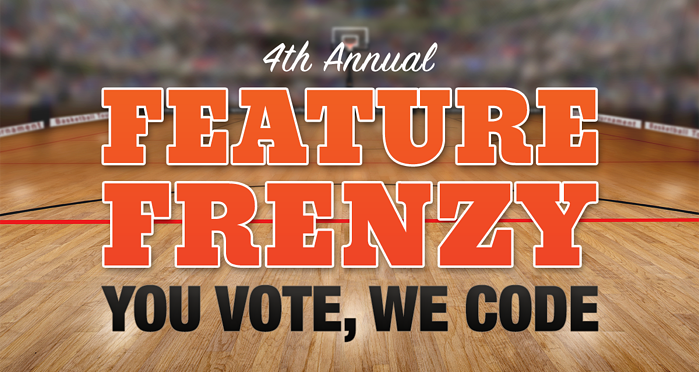 Online voting has already begun, and you can vote daily until March 30! After voting has completed, the four winning features will be added to our product roadmap and our team of developers will investigate, prototype, test and deploy to your account. You only get one vote per category each day, so if you have a favorite feature, recruit your Fireside using friends and colleagues to help push it to the top! Let us know which features would save you time and make managing constituent communications easier. Just follow the popup or dashboard card in your Fireside account! Why did Fireside21 start the Feature Frenzy? Fireside products have always been designed with the users in mind. Since launching our CRM product in 2009, Fireside21 has had more success than any other vendor on Capitol Hill. We now work with nearly 200 House offices with more than 121 customers leveraging the power of our CRM platform – some of the most inventive and technologically savvy people on the Hill – and the Feature Frenzy is a way to let Fireside customers help us innovate. Which features won the Feature Frenzy in 2017? We'll have more exciting information to share in the coming weeks about these features — stay tuned! Why only the Final Four features? As we are timing this with the NCAA tournament, a Final Four has always seemed appropriate. Our developers have a robust product roadmap based on our own goals and customer feedback, so you will definitely see more than the Feature Frenzy Final Four requests over the course of 2018. Is it too late to get my idea for Fireside considered? While it’s too late for this year’s Feature Frenzy, the Account Team is always interested in hearing customer ideas and suggestions! Hop into chat or send us an email and tell us about some of the challenges you’re experiencing and if you might have an idea of how to resolve it. We can add it to the list of customer suggestions as potential features for future Frenzies. Whether your idea was picked or not, all ideas are being retained and considered, so if it’s not a winner this time, there’s always hope for the next one!